"An ever-increasing number of breeders in Britain are operating at a substantial loss"
The Economic Impact Study carried out by Price Waterhouse Cooper for the TBA and the wider industry, which was unveiled at our annual meeting last month and follows a similar exercise published in March 2014, makes for sombre reading. 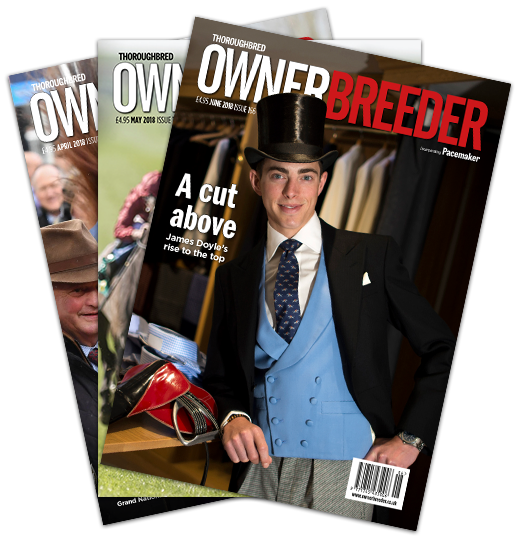 From its many findings, there is no escaping the fact that an ever-increasing number of breeders in Britain are operating at a substantial loss and have very little chance of achieving any meaningful return on their investment in the sport. The increasing average age of the small breeder and the relentless escalation in the costs of breeding, allied to personnel skill shortages and poor sales returns below the top tier, add up to an uncomfortable pincer movement. They do not provide any confidence in the future for smaller breeders, and they do not encourage new and younger participants to enter the sport. While there is evidence that medium and larger operations are holding their own, a rapid decline in the base of small breeders will tend to polarise the industry and inevitably lead to a substantial fall in production of foals in Britain. It is vital that there is a diverse and sustainable breeding industry to support British horseracing. Relying on a few large broodmare bands, whose owners are also not in the full flush of youth, is decidedly risky, and presents a challenge to everyone involved in the sport. Finding a solution is paramount if Britain is to remain competitive among the world’s leading horseracing nations. To that end, the TBA has led the Breeding Strategy Group for the industry. We would love to have come forward with substantial breeders’ prizes, particularly to help the smaller operators. However, the group has had to be realistic about the sport’s overall finances. Bearing in mind the limited funds available, we have, therefore, led the way in developing proposals for a Premium Scheme that would address some of the issues that currently threaten British breeders. The cross-industry group is recommending a framework built around two existing schemes – the Plus 10 scheme, which would become solely British qualified, and the Mare Owners’ Prize Scheme (MOPS), which is already proving to be extremely successful in National Hunt racing. The great advantage of taking this approach is that the new schemes can be up and running straight away. Horses already qualified under the existing schemes can take part in the revised proposals in 2019, and while the variations will need to be explained, there is already a general understanding of how such schemes operate. There will be no need to run down existing schemes over a period of years while new ones come into place. The proposals will simply enhance existing schemes and make them pro-British. Having completed its report, the group is now seeking support across the racing industry. Hopefully, by the time you read these words the necessary backing will have been received to obtain funding from the Levy Board and Racing Authority from 2019 onwards. The proposal places foals in two categories – those out of British-based mares visiting British-based stallions (Category A), and those out of British-based mares visiting foreign stallions or foreign mares visiting British-based stallions (Category B). Category A qualifiers will receive twice as much as Category B horses in bonus payments. 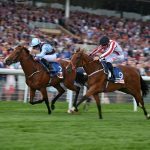 On the Flat Category A will pay a £20,000 bonus on approximately 850 races for two- and three-year-olds, and a £10,000 bonus on another 150 fillies-only races. Approximately 1,900 National Hunt races will carry a £10,000 bonus. Full details will be published in the autumn, when financial approval has been received. However, the races chosen for support have been carefully selected to enhance the existing schemes, with the emphasis in the new races being focused more on middle-distance performers and three-year-olds on the Flat, and bumper and novice races for jumpers. The group believes that action is required immediately, hence the 2019 start, and that this is a realistic but highly necessary proposal that will support the British breeder and change behaviour. We very much hope that the whole industry can get behind the proposals.